Meditation is a practice including techniques to help to transform the mind. It is also a practice that is a huge part of tradition for a few religions, including Buddhism. People around the world practice it for a variety of causes. Some people meditate to improve health or increase focus, etc. Some others meditate as a part of traditions or culture that has been followed in the society or families since many years. Meditation has been effective in keeping good health and lowering risk of many health diseases, such as relief from stress, depression, anxiety, insomnia, irritable bowel syndrome, acute respiratory infection and chronic fatigue syndrome. It also increases pain tolerance, IQ, aids in weight loss, and maintains blood pressure. Moreover, practicing meditation is safe there are also no injuries that are related to it. Mediation doesn’t need any kind of equipment; all that is required is enough space. It can be practiced by supervision of health specialists, doctors, and meditation and yoga teachers. There are different arts or schools of meditation such as Tibetan meditation, Zen meditation, Transcendental Meditation, martial arts and tai chi who teach the right techniques of meditation. Just 15-20 minutes of meditation daily is good and aids in relaxing body, soul and mind. Let’s have a detailed look at these health benefits of meditation. One of the outstanding of meditation is reducing stress. Many people suffer from stress particularly due to the challenges and lifestyle existing in the modern society. A good remedy to the condition is relaxation that is easily attained achieved through meditation. Beginning with 10 minutes meditation session every day may help to reduce stress levels. Finding of researchers recommends that transcendental meditation may lower risk of hypertension and psychological distress among young adults. Reducing blood pressure is also one of the best health benefits of meditation. Practicing transcendental meditation can be beneficial in reducing blood pressure of people who face the high risk of psychological stress or hypertension, according to a research study. Lack of sleep can cause serious health implications such as lack of appetite and fatigue. Persons undergoing insomnia often depend on sleeping pills to aid them in sleeping. Studies have been tested the impact of meditation on the sleep patterns. The results recommend that practicing mindfulness meditation regularly may help to develop ways to work with nocturnal signs and wake consequences of chronic insomnia as well. Generally speaking, mindfulness meditation training helps to maintain good health and provide relief from IBS (irritable bowel syndrome). A study conducted on females with irritable bowel syndrome suggests that meditation is effective in lowering severity of IBS. 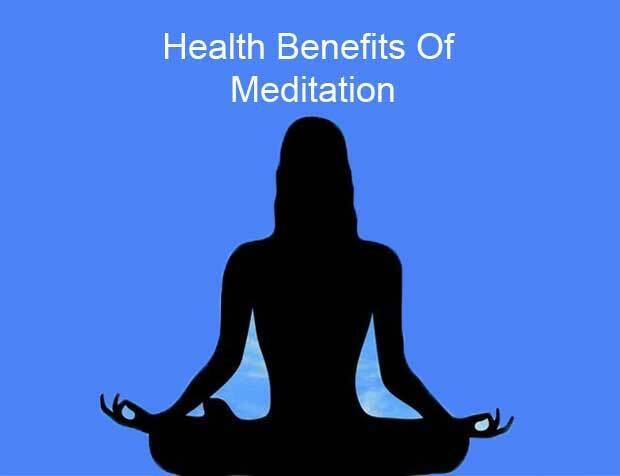 Reducing the chance of acute respiratory infections is also one of the great health benefits of meditation. Acute respiratory infections caused due to influenza and viruses are one of the common illnesses affecting many people. Basically, good immunity system and health may give the body protection from ARI. Besides, some of the activities such as meditation and exercise have proven to be beneficial. Research study recommends that practicing meditation regularly may help to reduce ARI illness. Meditation is very calming and relaxing. It gives the mind a break from the stress and worry. According to a review study at Johns Hopkins University, meditation helped to reduce the symptoms of depression and anxiety. Studies have even indicated that people who participate in an eight work course in meditation result in reducing depression and anxiety even for years after that course is over. Plus, mindfulness meditation has been found to aid in eliminating symptoms of social anxiety. One of the factors contributing to the increase of obesity both in teenagers and adults is emotional eating The kind of eating disorder often pushes a person into eating large quantities of food even as not hungry. It’s mainly caused due to unmanageable stress, boredom, anxiety, and sadness. Luckily, meditation helps to curb weight loss as well as the conditions related to poor eating habit. Females with sexual arousal disorder can be treated by including meditation. A 2008 study indicated that there was a remarkable improvement in sexual desire and sexual distress. For women having a sexual abuse history, it also indicated a trend of recovery in depression scores. Meditation also helps to cultivate and enhance the alertness of our mind. There are different methods of improving IQ of a person such as regular meditation. Practicing meditation helps to improve cognitive functions and decrease psychological stress responses as well. It also helps to lower rate of forgetfulness. Generally, human herpes virus and inflammation of nervous system are the main reasons for CFS. Meditation helps to deal with CFS very effectively. It may also be useful in alleviating pain and curing depression and anxiety as well. Relaxation appears to enhance the immune system in recovering cancer patients. Progressive muscular relaxation reduced the chance of breast cancer recurrence when practiced daily, according to a study at the Ohio State University. Plus, one month of relaxation exercises enhanced natural killer cells in the older people, giving them a better resistance to viruses and to tumors, according to another study at Ohio State. To enhance beauty, we can try a lot of skin care and hair care products on the market, but practicing meditation truly promotes both outer and inner beauty. We are leaving fresh oxygen out and in of the respiratory system when focused by meditating. This aids in removing the buildup of bad toxins and releasing chemical or hormonal imbalances. A good meditation practice also improves blood flow circulation to the skin’s surface, creating a beautiful subtle glow for our face. This guest post is by Mai Cao, a blogger with over 10 years of experience on searching the best natural home remedies for problems related to health and skin care.